Today we’re proud to announce the release of Cognigy.AI 3.3 – the Conversational AI Platform. Jam-packed with new and exciting features, Cognigy continues to push the boundaries of what Conversational AI can look like. Webinar auf Deutsch? Hier klicken! Working hand-in-hand with our customers and partners on a daily basis to realize cutting-edge conversational AI projects, we are experiencing first-hand where the market is moving – and it is clearly in the direction of conversational process automation. 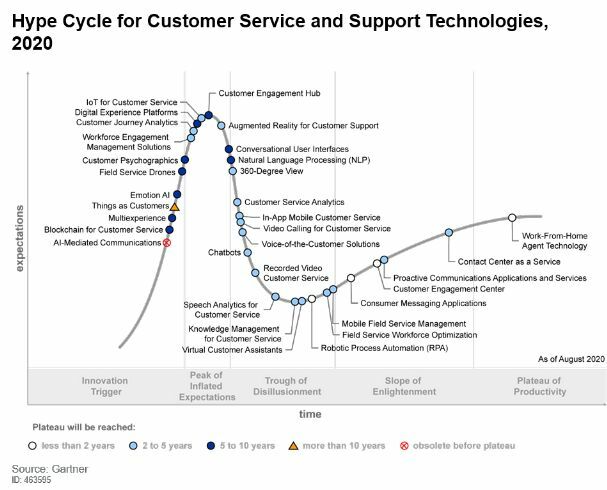 Processes are at the center of every enterprise and conversational AI is the perfect tool to make these processes – whether they are in customer support, IT support, HR or procurement – accessible across the organization and to your customers. Cognigy.AI 3.3 was built to make the creation, deployment and maintenance of these conversational automation solutions as easy as possible. 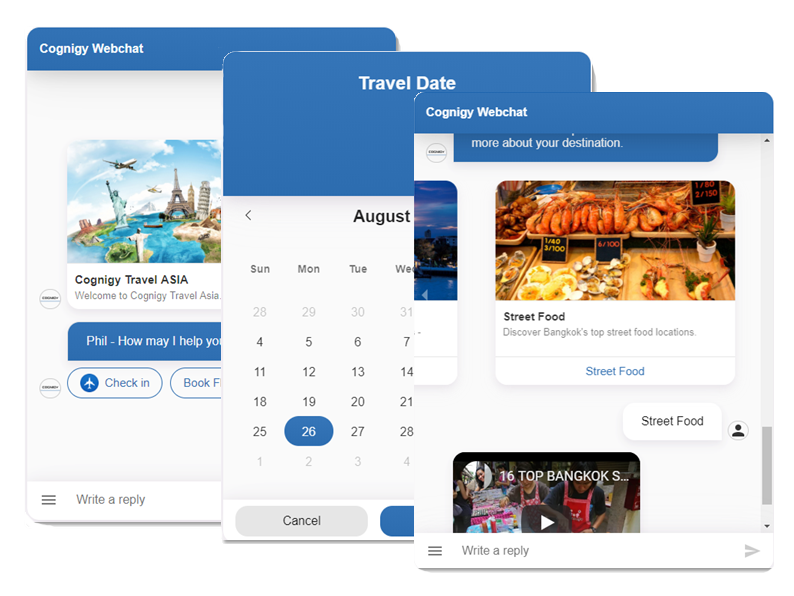 Cognigy.AI supports a wide range of channels, such as Facebook Messenger, Microsoft Teams, Alexa and others, to expose conversational AI solutions. By far, the most used channel is webchat, a chatbox which can be embedded on your website or intranet. 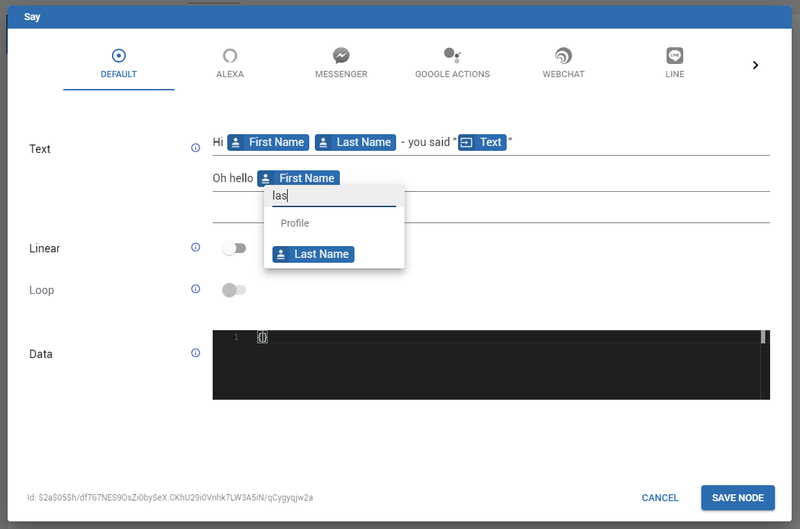 For this release, we have rewritten our bundled webchat from the ground up, delivering an immaculately-designed, customizable webchat that lets you publish your bots and all associated functionality with just a single click. Graphical elements like lists, image galleries, buttons, quick replies or date selectors come bundled out-of-the-box, making it easier than ever to get started without any development necessary. The new webchat is based on the popular React framework, making it easy for developers to embed the chatbox on existing sites. The source code of the webchat is available on GitHub, following Cognigy’s decision to open source more and more of our features in order to make it even easier for your developers to customize Cognigy.AI. By far the most exciting new feature of the webchat is the open source plugin architecture. This allows developers to build webchat plugins as React components and expose them directly in the chat. In this way developers can create any user interface they desire, be it flight seat pickers, video galleries or even augmented reality solutions and expose them through the webchat. Cognigy.AI 3.3 introduces the new concept of Cognigy Tokens – an easy to use way for business users to include dynamic content in conversational AI outputs. Using Tokens, users can simply fill their texts with graphical placeholders which will be replaced at runtime with the correct values. That way, a user could set up a text as “Oh hello [First Name]” and it would be replaced during runtime with “Oh hello Phil”. 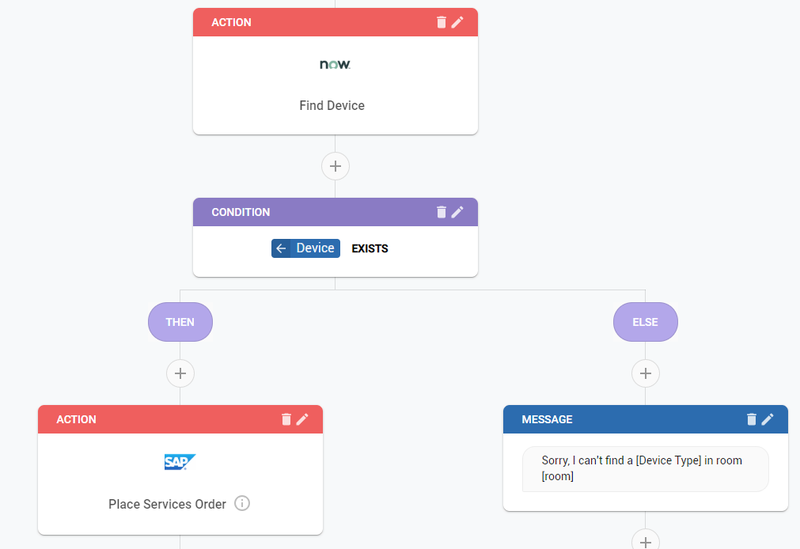 Cognigy Tokens can be used anywhere text or conditions are used, from Cognigy’s Flow Editor to Intent Default Replies to the Cognigy Process Editor. Inside the Process Editor, Tokens play a vital role, as they are context-aware and are made available to editors in real-time. In this way, editors have access to all answers of previous process steps as Tokens when designing their processes, making the editing experience as seamless as possible and completely code-free. Another vital new feature of the Process Editor is the addition of Inputs and Outputs to Process Actions. Actions can trigger third-party systems to receive data or trigger actions and these Actions can now receive Inputs and return Outputs to the Process. These Outputs are then available to all subsequent process steps. Summarized, Cognigy.AI 3.3 is the first conversational AI software to deliver full process automation capabilities, all wrapped in a conversational context. Natural Language Understanding lies at the heart of every Conversational AI solution. The mapping of user inputs to intents is key to delivering a good user experience and so the importance of a high-quality NLU engine is paramount. Cognigy NLU 2.1 takes another step up from our already market-leading Cognigy NLU 2.0 release, further pushing the boundaries of what NLU can do. Cognigy NLU is language-agnostic but delivers so-called “gold standard” AI models for certain core languages to deliver even more precise results. In addition to our already existing models for English, German, Dutch, Danish, Spanish and Japanese, Cognigy is proud to announce our first model for Mandarin Chinese. Having a clear focus on enterprise customers, Cognigy is concentrating on being able to satisfy various enterprise-level requirements, from security to scalability and integration. For that, we have included a long list of new features in the current release: Single Sign On, centralized logging for monitoring and alerting, “blind mode” for data privacy, new contact profile API, configurable timeouts, universal access to custom modules and more. Our solution makes it easier than ever to build, deploy and manage conversational AIs at scale from a centralized, scalable conversational platform. Our tools enable business users to develop solutions in customer experience, customer support and process automation, whilst giving developers the power to customize the solution to their liking. Cognigy.AI 3.3 adds further to this vision and we’re looking forward to seeing what our customers and partners around the world will build with it.